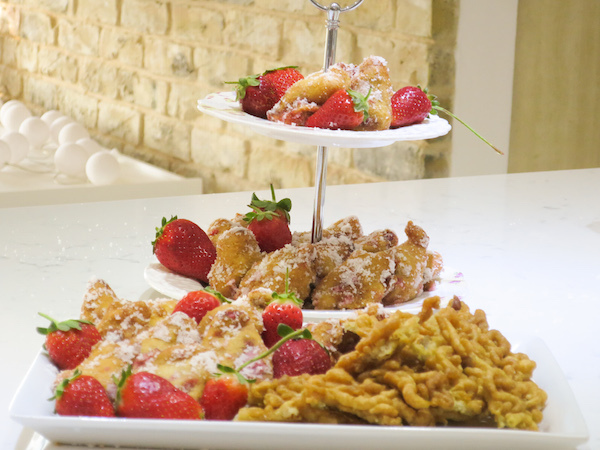 If you never had a deep fried strawberry before, this may sound like a strange dessert but the chances are you’ll come to love serving them in your summer parties and gatherings. 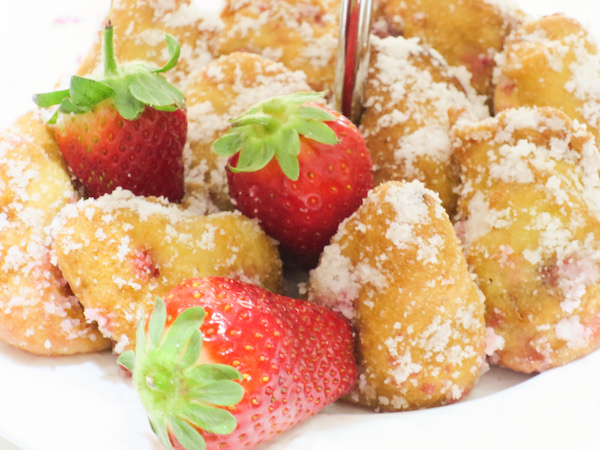 The strawberries are coated in a light airy batter and deep fried until golden. 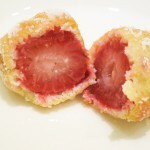 This makes the strawberries juicier and when eaten shortly after frying the coating stays crunchy. 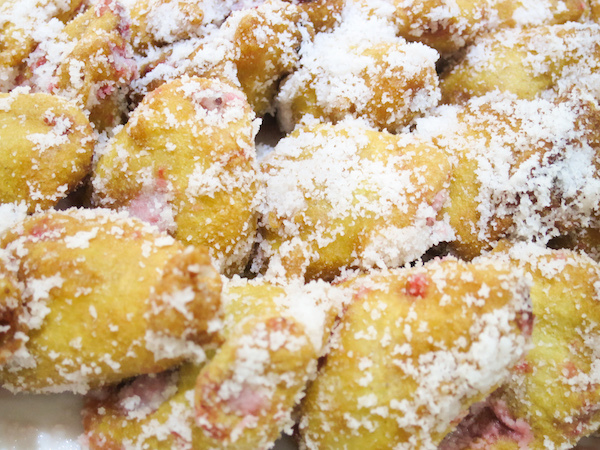 Normally sweet fritters are coated with powdered sugar that adds sweetness. This recipe is free of refined sugars and I used shredded coconut that I pulsed in a coffee grinder for a fine ground, almost powder like texture. 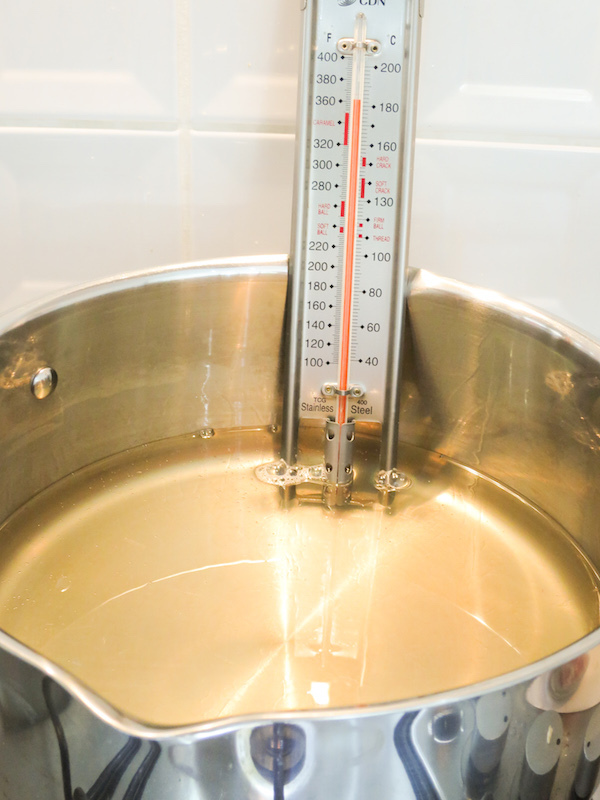 You’ll need a candy thermometer to heat the coconut oil to the right temperature. Be careful as the oil gets really hot! The other treat in the picture on top is the funnel cake I made with remaining fritter batter. Super easy and you can use up every remaining drop of batter! Separate 2 eggs and put the egg whites aside. 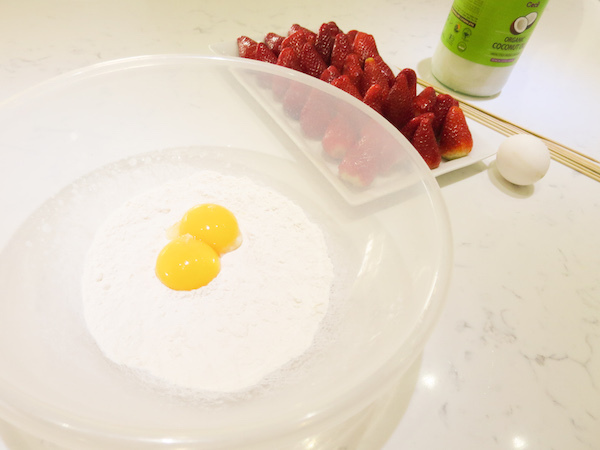 Sift the flour into a mixing bowl, add the separated yolks and mix well. Add remaining whole egg and salt and mix until incorporated. 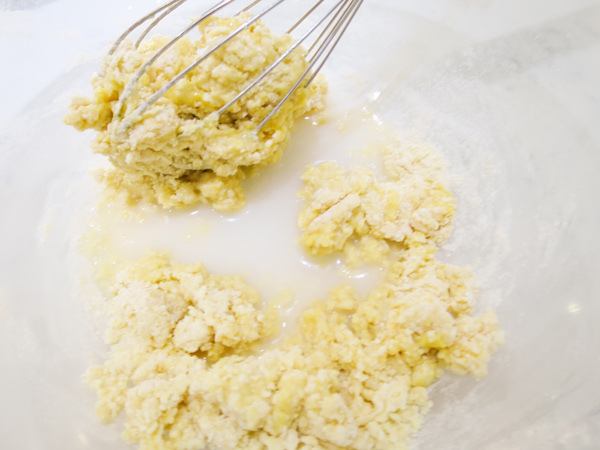 Whisking constantly add coconut milk gradually, finally add stevia and continue whisking until fluid and smooth. 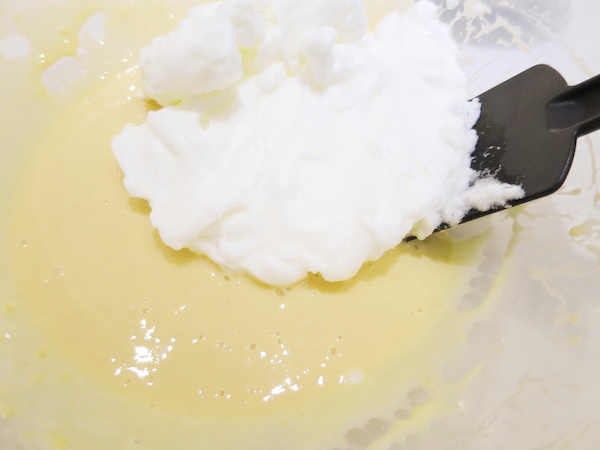 In a separate bowl whisk egg whites until soft peaks form and add into the batter gently folding it in. Place coconut oil into a large saucepan and heat to 180ºC (350ºF). Stab strawberries with a wooden skewer, dip in the batter to coat and carefully fry 2 strawberries at time in the hot oil, cook until golden brown. Drain on paper towels and coat in shredded coconut. Serve slightly cooled. The remaining batter can be used for funnel cakes by simply putting it in a piping bag and piping in thin string forming a round nest. Once the bottom of the funnel cake is done turn it around to fry the other half.